Nikki Sixx, rock 'n roll's ultimate bad boy and the ring leader and founder of Motley Crue. The band's definitive history was recorded in the Crue's collective bio, titled, "The Dirt" in 2001. It wasn't until a year later that Jake Brown came out with what fans hoped would be an inside look at their favorite "mad scientist of rock," Nikki Sixx. The title promises all the juicy inside secrets of Nikki's life. Crueheads already know Nikki's story, but were hoping for a fly on the wall's view into their favorite bass player's life in and out of Motley Crue. At almost 500 pages, the book should've delivered, but unfortunately, it didn't. 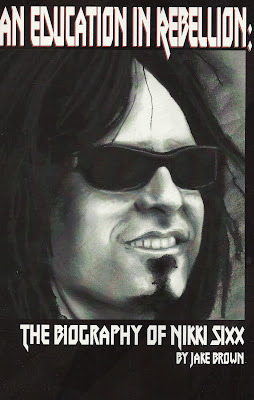 The book is nothing but regurgitated facts and interview quotes from Nikki himself and those closest to him. 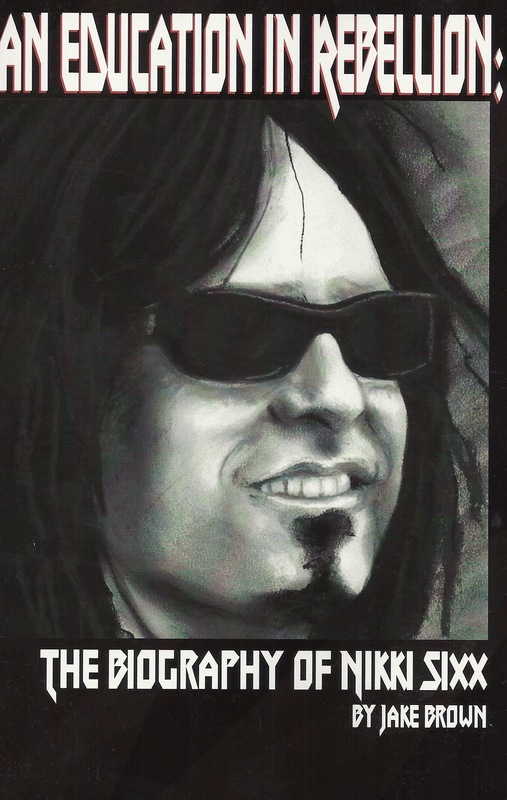 Jake Brown robs from other sources to compile his chronological history of Nikki Sixx. Die-hard fans will instantly recognize quotes and facts from such sources as old interview footage, paragraphs from "The Dirt" and Vh1's Motley Crue Behind The Music. This book is total and complete let down to Crue fans. Not only is can the book be construed as plagiarism, but it often repeats whole paragraphs twice in the same chapter to make the word count larger. There are grammatical and punctuation errors all over the place. Each new chapter spends at least a page and a half recapping the previous chapter. As a long-time fan of Motley Crue and especially Nikki Sixx, I was sorely disappointed in Jake Brown's attempt at a "biography." If you want an accurate account of the life and times of the members of Motley, read "The Dirt," or the "Heroin Diaries." Stephenie Meyer's success is nothing short of extraordinary. Growing up a voracious reader in a Mormon household, Meyer never dreamed that one day she would become a bestselling author. Fortunately for her fans, she would one night dream about a young girl and a vampire lying in a meadow and that the vampire sparkled in the sunlight. Chas Newkey-Burden's biography gives Stephenie's "Twihard" fans an inside glimpse into the life of this wife and mother of three. Though the book reads like the Reader's Digest version of the author's life, it manages to take us on her journey from woman with a dream to her status as a pop icon among 'tweens, teens, and adults of all ages. With only a set amount of pages to tell Meyer's story, Burden has a tendency to waste valuable text on repeated facts, statements and even whole paragraphs at times. Waisted writing space is used up by occupying 5 or 6 pages with reviews of each of Stephenie's books; from different countries even! One or two examples would have sufficed. 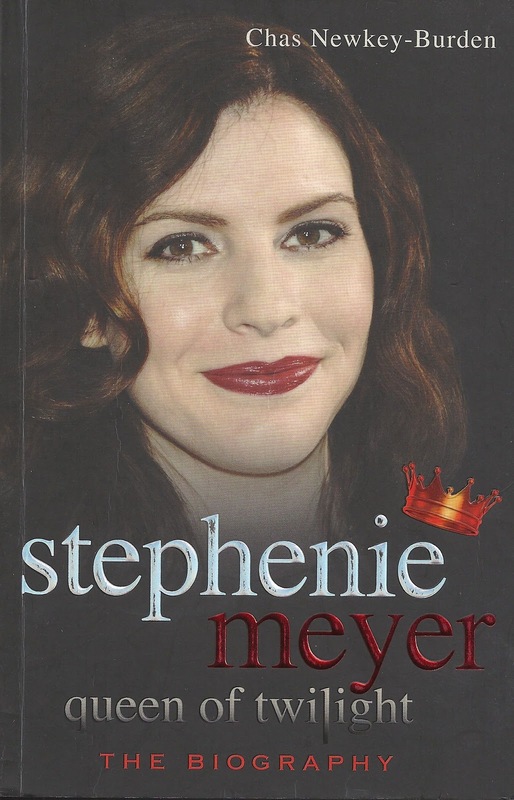 Since this book is largely dedicated to Meyer's backstory and the road her books in the Twilight series have taken as first a dream, then being on the bestseller's list to finally blockbuster movies, Burden burdens us with a whole chapter on Stephenie's book The Host, which has nothing to do with Bella and her sparkling vampire. The last chapter is devoted to Stephenie's foray into the music video world and her treatment for the song "Resolution" by the rock band, Jack's Mannequins. The whole book reads like a twelve-year-old's book report on "Their Favorite Author," complete with summaries of each of Meyer's journeys through different parts of her life and milestones to who she is today, including quotes thrown in for good measure. On the whole, the biography is a good read for Stephenie's younger audience who just want to know more about their favorite author. Angel's Gate Hospice And Rehabilitation Center For Animals. Sara Kristine Jackson I urge everyone to donate towww.angelsgate.org. This woman is an Angel herself and should be commended and rewarded for work. My parents and I are making a donation and I ask you to please please do the same.